If you are fond of floras and always desire to be surrounded by it, then it is very much important to take care of plant life. To enjoy the greenery all around you have to take care of the plants by arranging best irrigation system. Nowadays due to the advancement of technology you can make use of valuable irrigation system which will benefit you in best possible way. In this article, I will talk about two types of irrigation systems- Drip and Sprinkler so that you can draw the comparison between both the types of irrigation systems and can opt the one whichever suits you in the best possible manner. 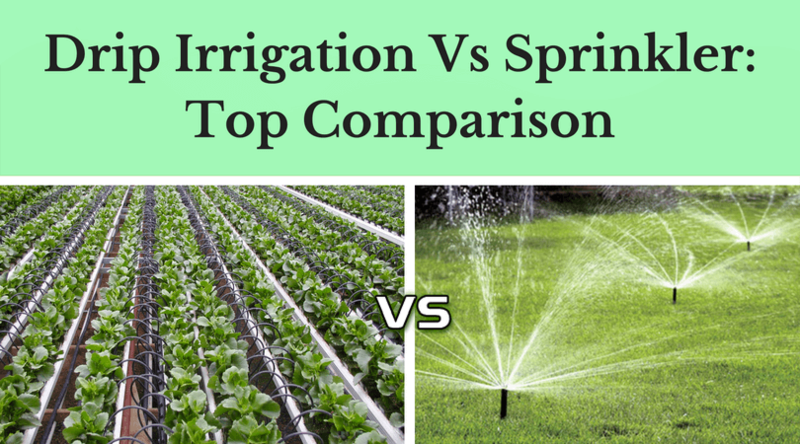 So let’s move ahead to explore information regarding drip irrigation Vs. sprinkler. 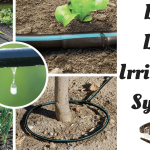 If at low rates (2-20 liters/hour) you drip water on the soil from the plastic pipes system known as drippers, then this process is known as Drip Irrigation system. The other name of this irrigation system is trickle irrigation. If you apply pumping system in which you make use of pipes to distribute water with the help of spray heads which moisten your whole soil surface, then this system is known as Spray or Sprinkler system. Extremely make use of accessible water. Saves water up to 30-50%. Employ fertilizers effectively. You can use solvable fertilizers and chemicals. Dripping valves are found. Spray guns and nozzles are involved. It wets only the root area. It wets some plants by moistening the area of the circle. Checks the diseases that develop due to water contact. No such issue in the sprinkler system. Efficacy and effectiveness are higher. Evaporation and runoff are higher. Meant for watering small areas or plants. Suitable for large and flat areas. Favors definite watering schedule. Involves extensive amount of water. From the above tabular information, you can easily make out the differences between drip and sprinkler system. Let me make you familiar with the benefits and shortcomings of both the types of irrigation system so that you can get detailed knowledge of the same. Control of weed is well-organized. Helps in refining seed growth. Offers frost safety and supports in the modification of microclimate. Design, installation, and operation require high skill. Faces the problem of moisture distribution. Great initial investment is required. Due to evaporation faces the problem of loss of water. The sprinkler pattern is distorted due to the wind. 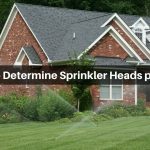 So from this article, you can easily decide which irrigation system suits to your requirements by going through their features, advantages, and disadvantages. Your wise decision regarding appropriate selection of irrigation system will result in optimum efficiency. Take care of your property by employing suitable irrigation system.